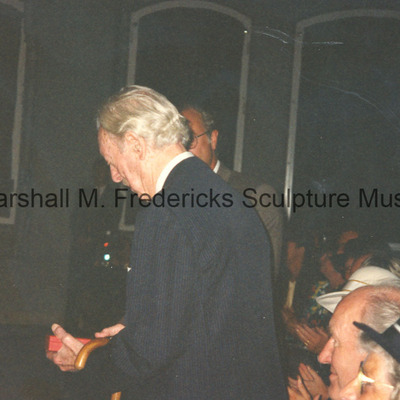 Marshall Fredericks admires the medal he just received from the King of Sweden at an event celebrating the dedication of "God on the Rainbow" (Gud Fader På Himmelsbågan). 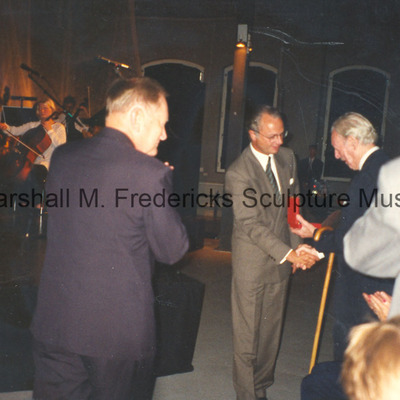 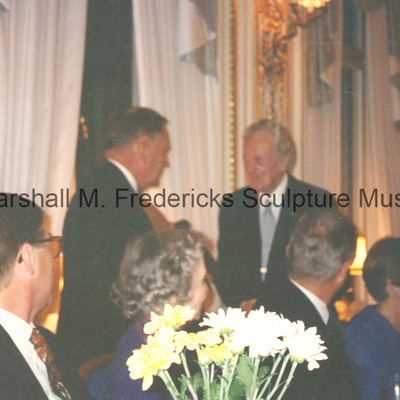 Marshall Fredericks shakes hands with the King of Sweden while receiving a medal at an event celebrating the dedication of "God on the Rainbow" (Gud Fader På Himmelsbågan). 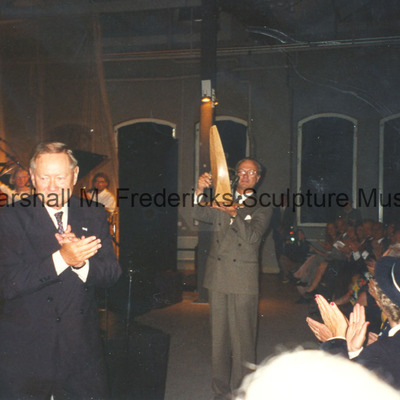 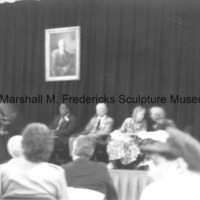 Marshall Fredericks receives a medal from the King of Sweden at an event celebrating the dedication of "God on the Rainbow" (Gud Fader På Himmelsbågan). 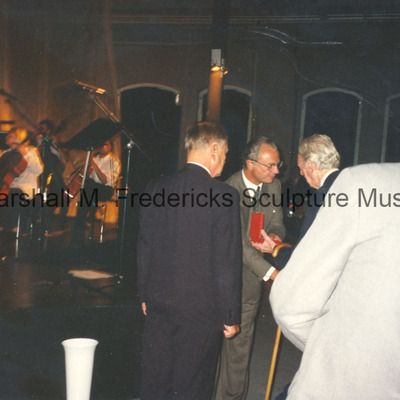 Marshall Fredericks greets an unidentified man at an event celebrating the "God on the Rainbow" (Gud Fader På Himmelsbågan) in Sweden.